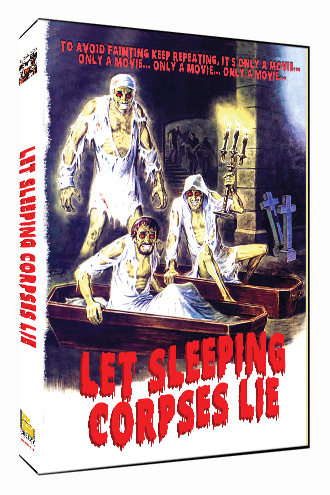 Let Sleeping Corpses Lie  - This one has been pulled, but there are still copies out there. This one is also a zombie movie, but if you're like me you'll pretty much watch all zombie movies. Let Sleeping Corpses Lie (Italian: Non si deve profanare il sonno dei morti, lit. Do Not Profane the Sleep of the Dead; Spanish: No profanar el sueño de los muertos, lit. Do Not Profane the Sleep of the Dead), also known as The Living Dead at the Manchester Morgue and Don't Open the Window, is a 1974 Spanish-Italian science fiction zombie horror film written and directed by Jorge Grau and starring Ray Lovelock, Arthur Kennedy and Cristina Galbó. The film focuses on two protagonists who are harassed by a local police investigator in the English countryside and are implicated in murders committed by zombies who have been brought to life by a farming tool designed to kill insects via ultra-sonic radiation.